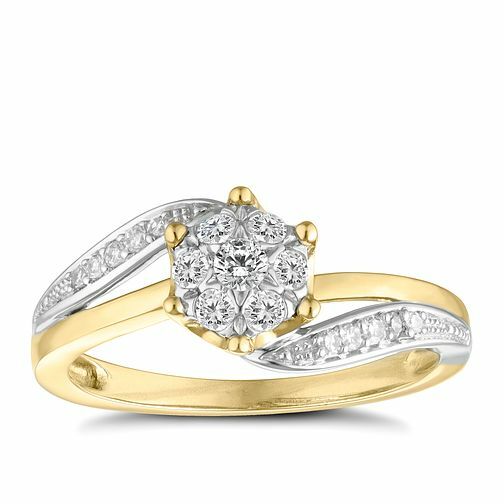 9ct gold two colour 1/4ct diamond flower cluster ring is rated 4.9 out of 5 by 7. Rated 5 out of 5 by Anonymous from Great product! It's my engagement ring and I love it! Looks a lot better than on the pictures! If you looking for perfect ring for your love -you just found it! Rated 4 out of 5 by Anonymous from Great lookin ring. Item was overall good quality, customer service excellent, but courier not up too scratch kept going to wrong address.